Power Point presentation is commonly used for slide show presentations. But you can actually animate your power point presentation, into a video, or a video, that can be viewed on Power Point. Why Would Anyone Turn Power Points Into Video? Have been working with Power Point presentations for a long time, and have not tried this feature? If you are working with professional presentations, then it is high time that you should introduce some video marketing, to engage your customers. Videos can say and do way more impactful things, especially on customers, in comparison to written or still slides. Moreover, it’s much more functional and easier to import and export explanatory content, such as product or service preview, presentations to client or to other colleagues. To convert your Power Point presentation into video, you can save your file format, as .mp4, .wmv or .ppsx in Windows, or MOV in Mac systems at the time of creation. Another thing you can do is convert your PPT slides to video slides using Windows Movie Maker, or if you are using Mac system, you can use iMovie. If all these too complicated for you, you can use the easiest way, of using an online software or platform, which does the thing for you at the click of a mouse. 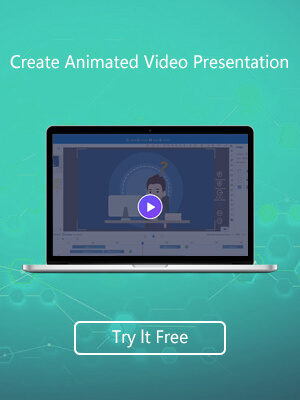 Animiz is new software that offers seamless convertion of PPT files into HQ videos, in a matter of minutes, and for free. It offers a cloud based storage, up to 10GB of free space, for direct publication of your content. Movavi is simple and powerful software that provides specific toolset for converting power point presentations into videos, completed with soundtrack and voiceover features. Leawo was initially a dedicated platform for Windows users, but now Mac users can use it too. This is a commonly used file converter or video maker software, that’s categorically referred to as a business tool but you can pretty much do a host of creative things with this one in hand. The converted videos can be played on multiple devices with seamless streaming. Filmora by Wondershare, is a high end video editing software, that create videos from any file format, including PPT, in cinematic visual quality. With its advanced features like picture in picture, split screen, one click editing, you can virtually enliven any content, with endless opportunities. Many users often struggle with conceiving the usage and the user manual of inbuilt software like Windows Movie Maker and iMovie. Third party software mentioned in this features, elaborate on easy to understand and use, to convert PPT files into Videos. Try them out and make the most out of your video presentations.